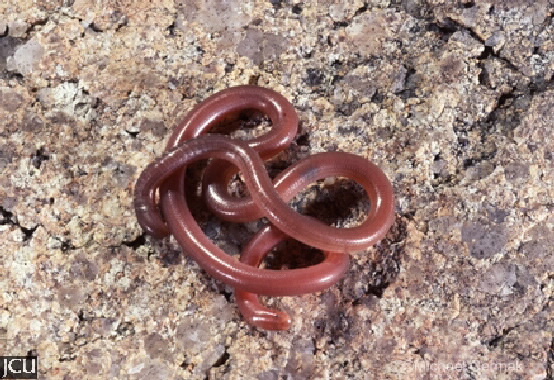 A blind snake, the body is pinkish-brown to dark brown above, head and flanks are paler and the belly is pale cream to whitish. The snout is angular or blunt and the tail ends in a short conical spine. It feeds chiefly on ant and termite larvae and eggs.